We have just agreed three new online classes to be taught in June and July. These are for my two day class How to perform a security audit of an Oracle database. 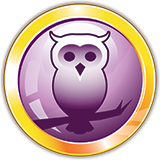 The classes are two day events and will be taught online via the webex platform. For the first time after having requests for public classes in the USA many times Pete Finnigan will teach this two day class on USA time zones so that it is aimed at USA (Canada, Mexico) attendees. One of the planned two day classes is on EST time zone from 8am to 4pm New York time and one on PST time zone 8am to 4pm Los Angeles time zone. The final sitting is UK/EU time zone from 9am to 5pm. 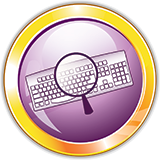 For details of the classes please see the online Oracle Security class page. A list of all the public training dates is also available. Please send an email to info@petefinnigan.com to register your place. Twitter or Facebook or Linked In. I am always happy to accept new connections and you can reach me for comments there until the blog is fixed. 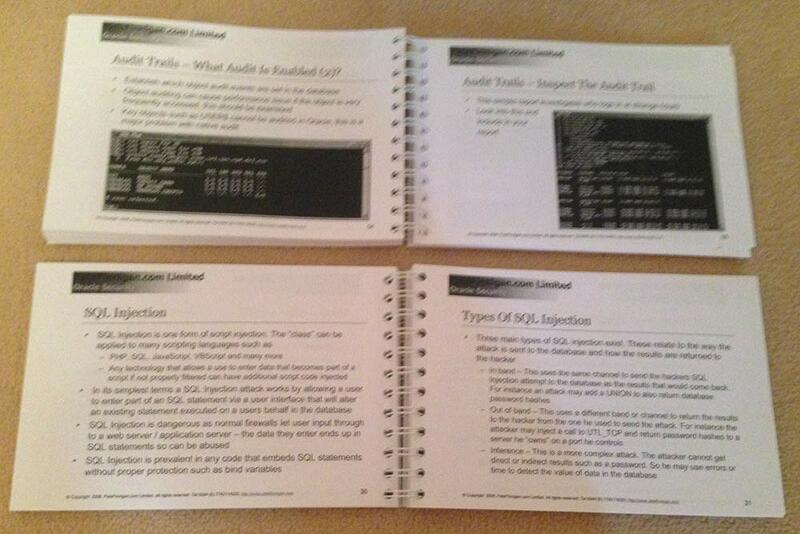 Above is a picture of the course notes for the two days class - How to perform a security audit of an Oracle database - These are printed in two A5 books, one for Day 1 and one for Day 2. They contain approximately 500 MS PPT slides printed one per page and back to back. The printing is Black and White. These were printed in 2010 but the class has not changed drastically in structure so most of the content is still valid. I have 3 copies of two books for sale and they are £20 GBP + Postage + VAT. 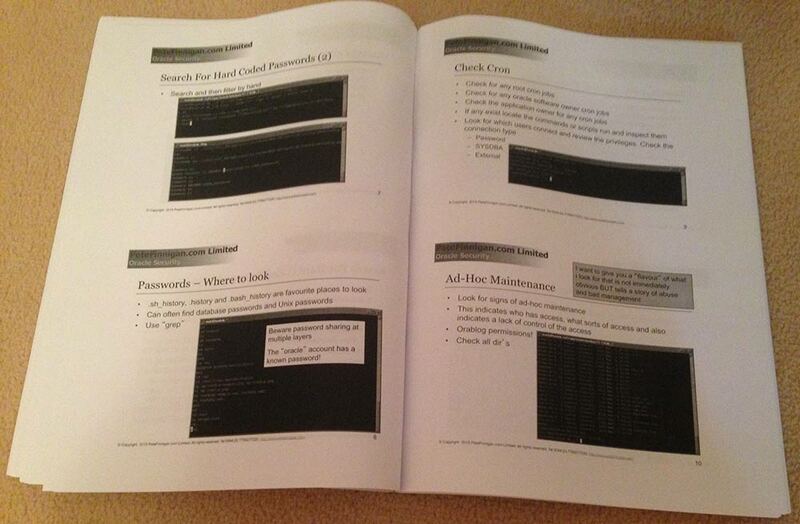 Above is a picture of the one day class course notes for the Securing and Locking Down Oracle class. 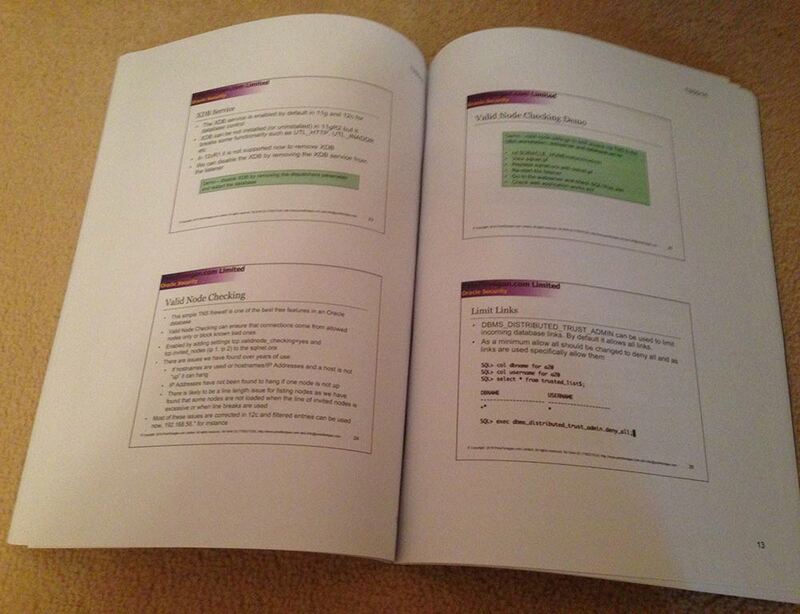 These course notes are printed in colour and there are approximately 230 MS PPT slides printed two slides per page in an A4 bound book. These manuals were printed in May 2016. I have two copies of this manual and I will accept £40 GBP + Postage + VAT per copy. Above are the course notes for my one day class - Secure Coding in PL/SQL - and they are A4 with two slides per page and there are approximately 230 MS PPT slides. The manuals are printed in Black and white and I have two copies and they were printed in mid 2015. I will accept £30 GBP + Postage + VAT for each copy. 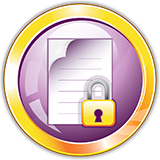 Above is a picture of the class manual for the - secure and lock down Oracle - class. 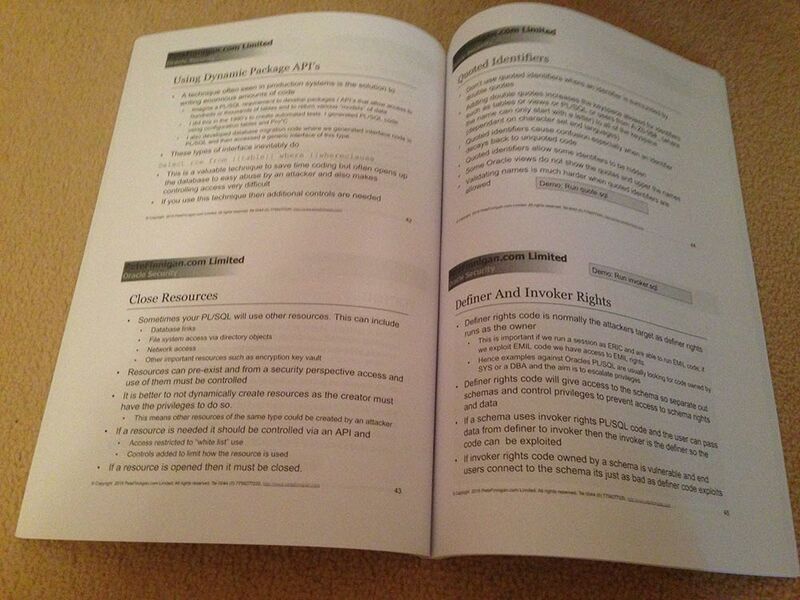 This is an A4 bound manual, Black and White and there are again approximately 230 MS PPT slides. These were printed in mid 2015 and I have two copies. I will accept £30 GBP + Postage + VAT for each copy. 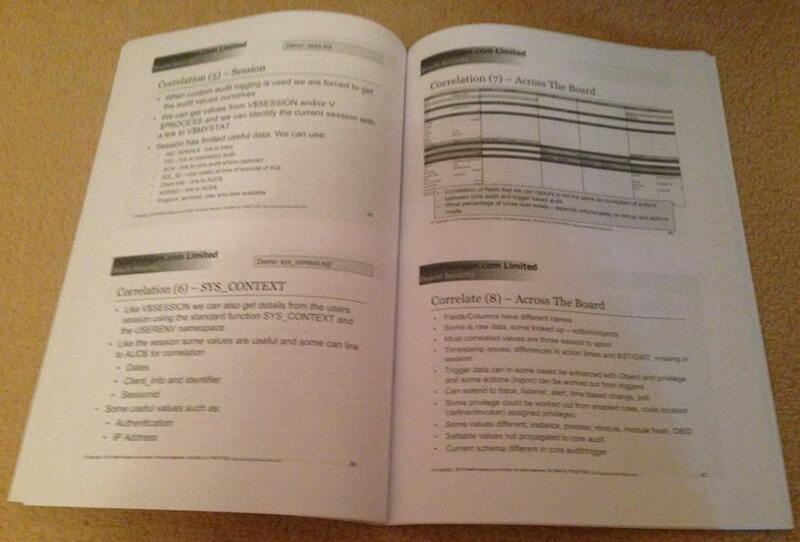 Above is a picture of the class manual for the - Designing Practical Audit Trails in the Oracle Database - class. This is an A4 bound manual, Black and White and there are again approximately 230 MS PPT slides. These were printed in mid 2015 and I have two copies. I will accept £30 GBP + Postage + VAT for each copy. 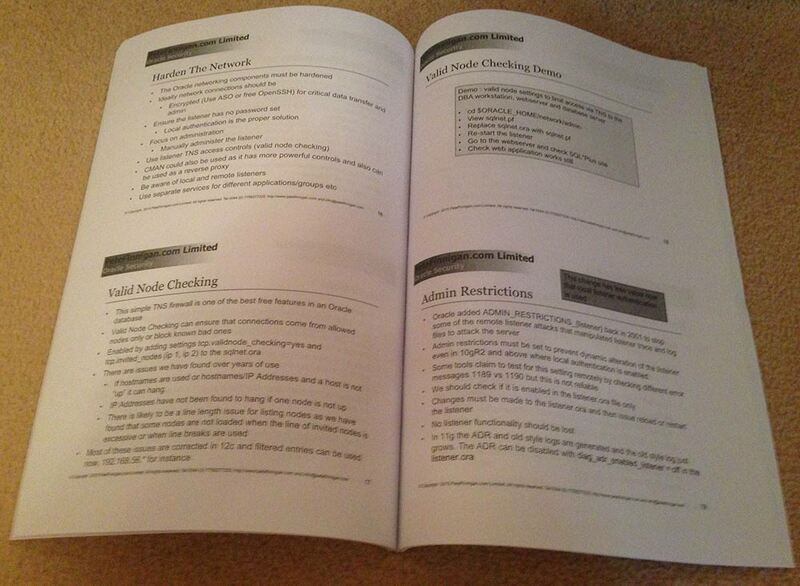 Above is a picture of the class manual for the - How to perform a security audit of an Oracle database - class. This is an A4 bound manual, Black and White and there are again approximately 610 MS PPT slides. These were printed in mid 2015 and I have two copies. I will accept £50 GBP + Postage + VAT for each copy. Please email me on info@petefinnigan.com if you are interested to purchase one of these course books that we have for sale. Please also let me know your postal address and I will get an accurate postage price from the post office. Also as we are registered for UK VAT then we may need to also add VAT dependant on where you are. Please get in touch if you would like to purchase one of these course manuals but hurry we don't have many and we will not be repeating this. I will be teaching my two days class How to Perform a Security Audit of an Oracle Database in Athens, Greece on May 16th and 17th 2017 organised by Oracle University. This is a great class that helps you understand why the data in your Oracle database can become insecure and why design decisions that you make can make this worse. We discuss the background first and set the scene of where Oracle security fits, what does it mean for you, what is hacking, how can someone compromise your database and what tools and options are available to you. We then layout the steps needed to perform a security audit, what tools do we need, what systems / databases should we audit and where does the audit "fit" into the whole realm of securing all of the data held in your Oracle databases. 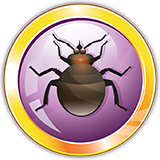 The bulk of the class is a walk-through of a complete example security audit. I perform many examples, use and demonstrate many free tools and explain as we go what to do if we find an issue. The class completes with a look at what to do next; how to review all databases in your organisation, how to create a database security policy and how you may go about locking down all databases. Keep an eye on our Public Training dates page for more up-coming public Oracle Security classes taught by Pete Finnigan.